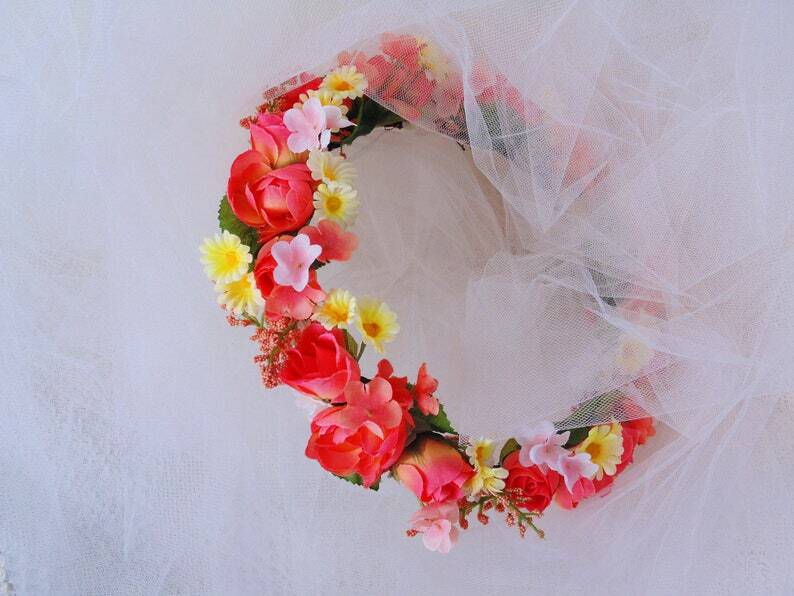 You'll look fabulous in this OOAK Coral Rose Mixed Floral Crown! Bright and colorful- and would look great for a Garden Party....anytime! Hand decorated, silk flowers, CORAL, YELLOW, PINK, CREAMY WHITES!! Make her day- Moms to be love these! Celebrate a birthday!! BENDABLE/ADJUSTABLE-Grapevine wire holds it all together.